Invest to research technologies like various types of rockets (e.g., Atlas, Soyuz), capsules (e.g., Vostok, Apollo), and capabilities (e.g., rendezvous, re-entry). Buy components including rockets, capsules, life support supplies, astronauts, etc., as allowed by the advancements you have purchased. Plan missions by calculating and assembling the amount of thrust needed to move payloads (probes, capsules, supplies, etc.) to their destination. Attempt missions and check for outcome of technologies not yet fully researched. Investigate locations where the risks are not fully known, drawn at random from multiple possibilities. In solo and coop modes, there is only one agency and the object is to earn at least half of the mission points available before time runs out; in competitive mode, whoever gets the most points during that period wins. Missions come in three difficulty levels: easy, medium, and hard. By mixing them in different proportions, you can adjust the game’s difficulty to your liking. For my first try, I played a solitaire game at normal difficulty setting. In preparation, I had watched the very useful video tutorial by William Hutton. This made it a lot easier to get the hang of the mechanics. That left me with the challenges of researching advancements, and planning and executing missions effectively enough to beat the clock — er, calendar. The first few rounds are not too complicated: build a rocket, send a probe to suborbital or orbital levels, test the equipment. But then it gets much more difficult to accomplish missions to distant locations, return missions, and especially manned missions. 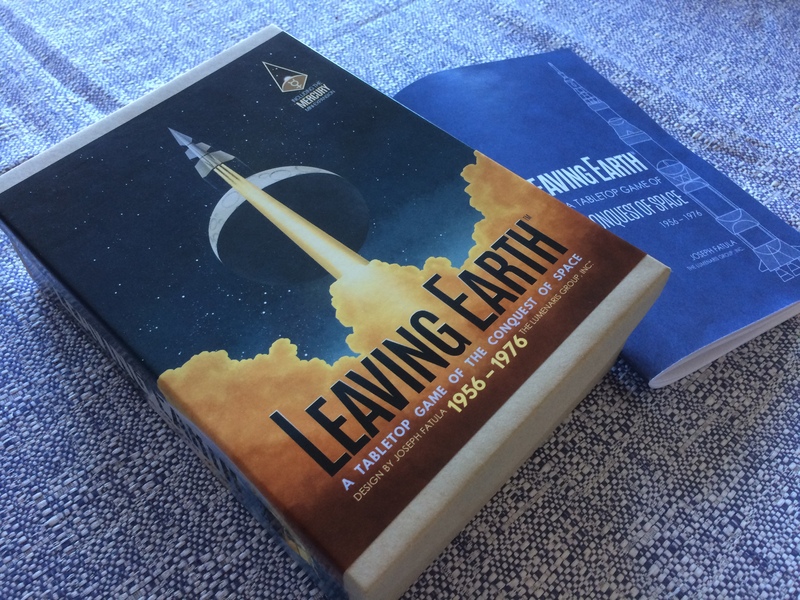 Having a little familiarity with the sequence in which, historically, space exploration really unfolded was helpful. It provided a trail of breadcrumbs to follow. Even so, it’s tough to make the right decisions with a limited budget. As you get towards the later rounds, you become frantic. I was very impressed with the game. I think it will be fun to try the other modes and the expansions, and thanks to the randomly selected missions and exploration information, the game appears to have good replay value. The theme is strongly supported; this is not an abstract system that could be grafted onto just any theme. It’s about the conquest of space, through and through. It made me feel smart when I figured out a good way to spend my funds, or when I suddenly grasped why certain phases of real-life missions had played out a certain way. That said, it’s not a good choice for people who dislike using math in a game. But if you can roll with it, there are good play aids available on BoardGameGeek to help with mission planning, such as mission analyses, payload vs. thrust calculation worksheets, multi-year mission planning worksheets, etc. 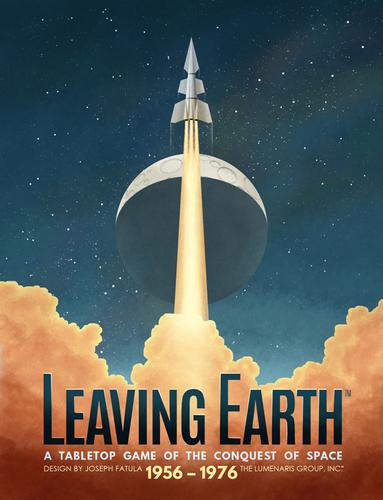 Recommended for space exploration nerds! 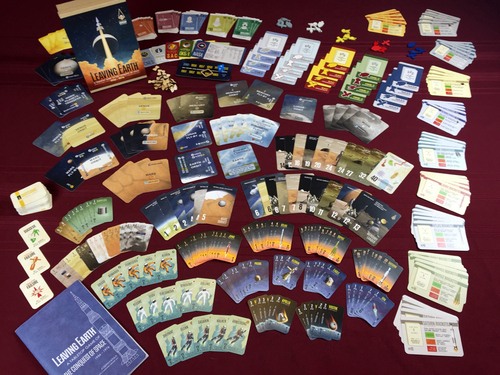 Posted on June 15, 2017 June 16, 2017 by Sophie LagacéPosted in gamesTagged BayArea, board games, games, Lumenaris, science, space, space exploration.